Geneva – Efforts to provide solutions to the tens of millions of people displaced within their own countries by conflict and disasters will be enhanced by the new partnership announced today between the UN Migration Agency (IOM) and the Internal Displacement Monitoring Centre (IDMC). The number of Internally Displaced Persons (IDPs) has nearly doubled since 2000, increasing sharply over the last five years. In addition to the estimated 40 million people internally displaced by conflict, a further 18.8 million people were internally displaced in 2017 due to climate-related disasters and natural hazards, according to IDMC. Ultimately, the two organizations endeavour to advance national and global policies to improve the lives of internally displaced persons across the world. “IOM’s interventions in favor of IDPs, in support of our Member States, make up a significant share of our work globally. This partnership will take us to new levels of quality and consistency and allow us to mobilize attention on an issue that has not been given sufficient consideration,” said António Vitorino, IOM’s Director General. 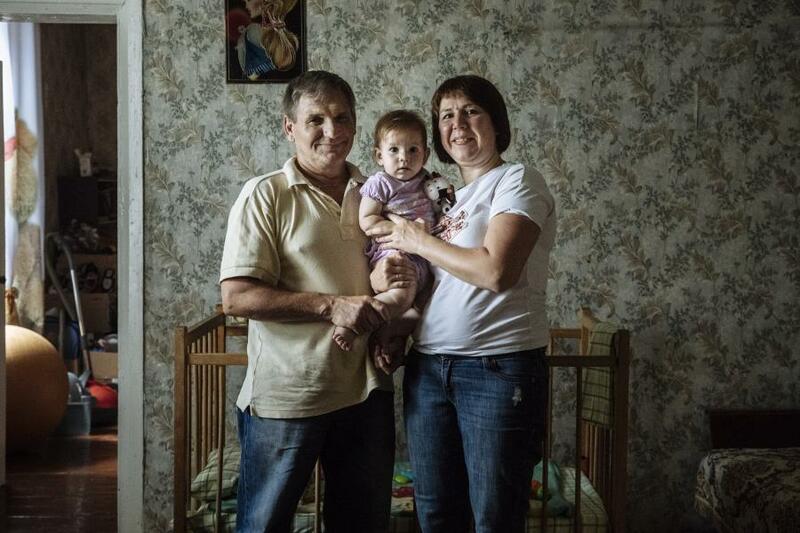 Tetiana and Volodymyr Ziangirov fled their home after the conflict in Ukraine intensified in 2014, and built a life from scratch as internally displaced persons. Photo credit: IOM/Muse Mohammed.